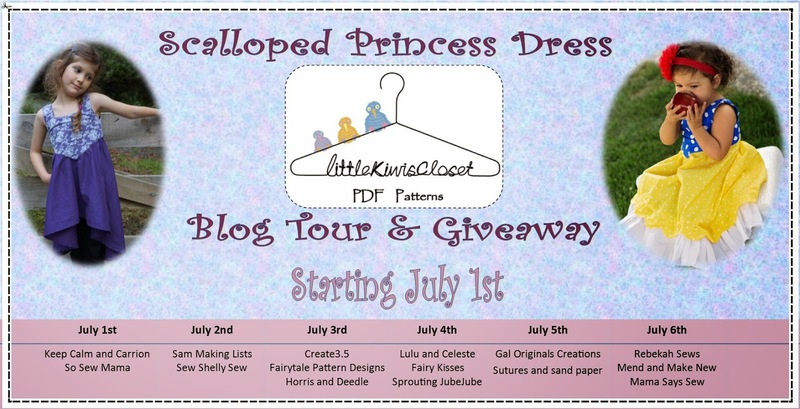 I'm so excited to be part of the Little Kiwi's Closet blog tour, and show you my version of the Scalloped Princess Dress! I've blogged about a few of Lydia's patterns before - the Beachcomber Pinny, the Bella Bolero, the Tara Tiered Sundress...all of them beautiful, unique patterns, and the Scalloped Princess Dress is no exception. There are so many options (as with any of Lydia's patterns) and any of them can be combined for a one-of-a-kind stunning look. I made only one change to the pattern, and that was to make the skirt fully lined instead of using the facing. The fabric I used is so light and thin, I thought it might be almost see through, and since the bodice is lined I thought it would look better to make the skirt match that. All I did was cut two skirt pieces, sew them together, and treat them as one piece - easy! Isn't my little princess sweet in her brand new dress? Almost all my pictures are "action shots" - princesses need to toddle and crawl nonstop, too! Good thing I chose knee length over ankle length - it's just perfect for bear crawling over that tickly grass! The Scalloped Princess Dress is a pretty quick sew, even for a "slow-er sew-er" like me, haha. I made the piping the night before, but with that time included, the dress still only took about 2 hours to put together. I think it looks like it takes more time than that - that's one of the great things about Lydia's patterns. 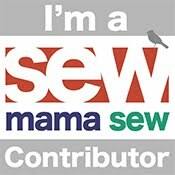 Great fit and wonderful, professional finished looks, without taking half a day to sew! You can pick up your copy of the pattern here on Craftsy, but make sure you enter the giveaway below as well - you can win two free patterns from Little Kiwi's Closet! Make sure you go visit each of the wonderful bloggers on each of the tour days - so many pretty dresses to see, all made from one amazing pattern!